"The Government of the United States, and the Department of State, should know that we have learned, since long time ago, and we have defeated pressures from anywhere in the world." "We are going to act, as stated by President Nicolas Maduro, according to international law, and according to our principles. 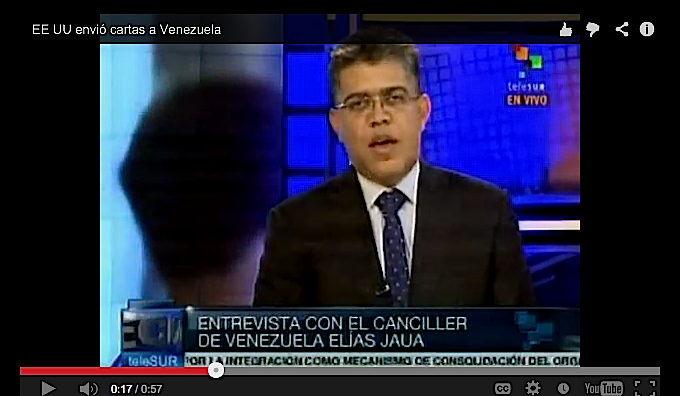 Venezuela has a tradition of providing refuge, shelter, to the political persecuted." "We just cannot leave alone a young man that dared to mark an ethical and moral stance regarding an absolutely shameful fact, which is that one country controls the whole world"
In order to stop further exposures by Edward Snowden, principally on the extension that the US agencies spy on the whereabouts and lives of ordinary U.S. citizens, and also abroad, the Obama administration “needs” to criminalize Snowden ethical behaviour. The cannot acknowledge that Edward Snowden, as in the case of Julian Assange or Brad Manning, are to the highest degree ethically-minded individuals in pursuing disclosures about central, aggravating deeds, committed against the people. That they have been engaged in a social information enterprise solely directed at expose what is criminal from the part of those in power has to be concealed at any price. That is the reason why whistle-blowers are called instead “spies”, and their ethical behaviour is criminalized by the magic of that label. Then, the distance from “spies” to “traitors” is just the one from a finger to the Enter-key in a keyboard. The powerful empire of ancient times, the Catholic Church administrated by corrupted popes, had exactly such behaviour against those exposing the nature of their deceiving. Scientists, particularly in the profession of medicine (for instance those who denounced the pogrom of Jews that the popes ordered “to eradicate cholera-pests”), were labelled as heretic or demons serving Satan. And executed as traitors, or witches. The Venezuela government has offered asylum to Mr Snowdon, as other Latin-American countries such as Bolivia, Ecuador, Nicaragua, etc. have done it. 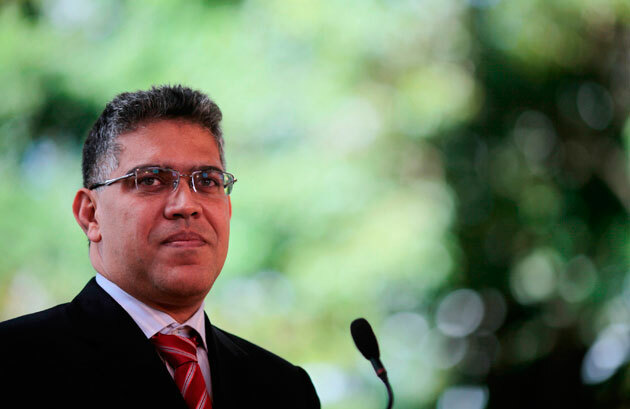 Under the pretext they are persecuting a criminal, a traitor of the national interests of the U.S., the Obama administration has exercised recently blunt threats and pressures against the government of Venezuela. En primer lugar nosotros sabemos que hay muchas presiones, el mundo, no? Nosotros hemos recibido dos notas del gobierno de los Estados Unidos, algunas llamadas de funcionarios del departamento de Estado. EL Departamento de Estado y el Gobierno de los Estados Unidos, deben saber que desde hace mucho tiempo nosotros aprendimos, y derrotamos las presiones de cualquier parte del mundo. Nosotros vamos a actuar, como lo ha dicho el presidente Nicolás Maduro, de acuerdo a la legalidad internacional, y de acuerdo a nuestros principios. Venezuela tiene una tradición de refugio, de cobijo, a los perseguidos políticos. First, we know that there are many (such) pressures, in the world, no? We have received two notes of the government of the United States, (and) some calls from officials at the State Department. The Government of the United States, and the Department of State, should know that we have learned, since long time ago, and we have defeated pressures from anywhere in the world. We are going to act, as stated by President Nicolas Maduro, according to international law, and according to our principles. Venezuela has a tradition of providing refuge, shelter, to the political persecuted.